I know that recently I have been not been posting much or interacting much in the blogosphere so I thought I would post a 'Lately' post to give you all an update and just because I haven't done a post like this in ages. First and foremost, I have been revising like there is no tomorrow - well, some of the time, anyway. I have had 2 retakes and 3 A2 exams as well as 2 German speaking exams. Although that doesn't sound like much I am hoping to go to a uni which, really, is quite optimistic and I have had to work hard to bring my 'A game' (very apt) to the exam room. For those who are new (and a very good morrow/afternoon to you all *waves*), I am studying English Lit, German and History. Above is a picture from my AS retake revision - I am using the age old revision tactic of highlight everything and hope for the best. 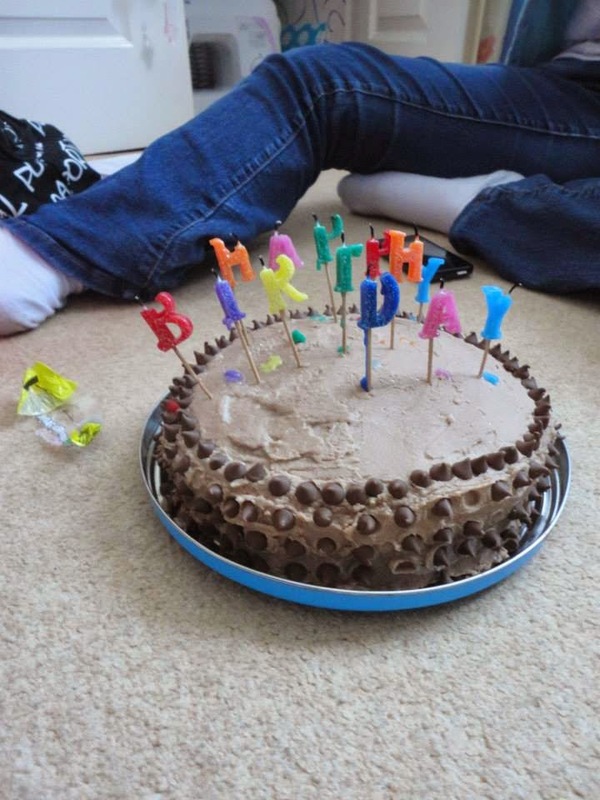 Recently I have been to lots of 18th birthday parties. My own was in May but, alas, I was hosting and thus didn't have much of an opportunity to take pictures. It was a really nice time though. We intended to have a BBQ but it rained so we just kinda sat inside and chatted and ate. Many of my friends have also recently turned 18 so I have been to a few parties. 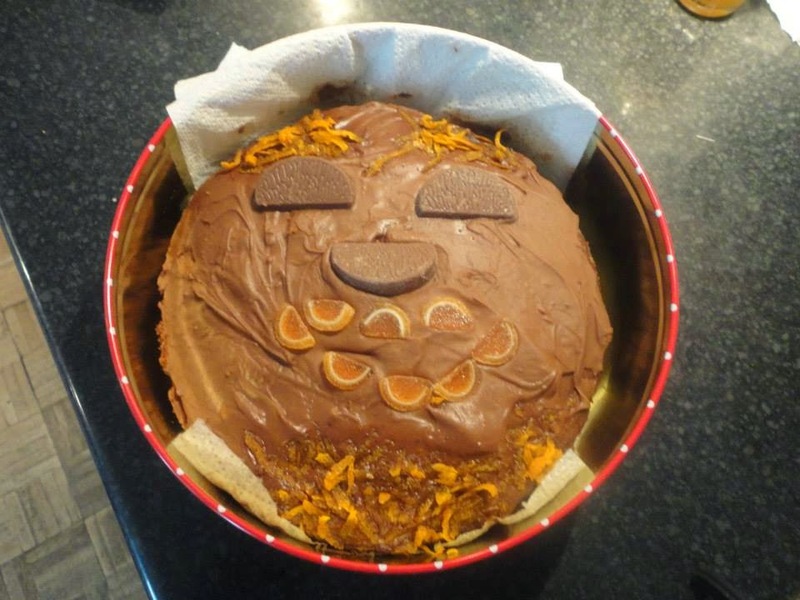 The cake above my friend Abi (who write a theology blog which I would recommend a read of) made for me and she intended it to look like a guy that we know. Who has orange peel for hair. We went out for a meal for one of my friend's 18th and I got this cannelloni and it was delicious. It is a bit like ravioli as it is like pasta parcels filled with stuff, this one was filled with spinach and ricotta, and is covered in a tomato sauce. It was delicious and a great option for me as I don't really like meat. My birthday cakes (one for the day and one for the party). 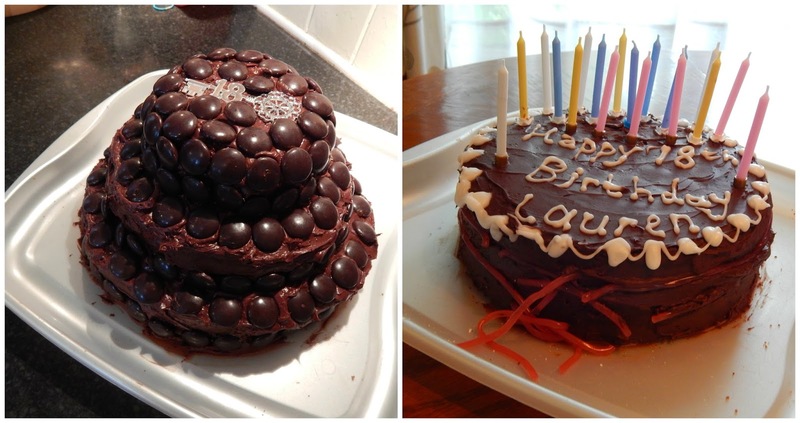 My sister made the one on the left and my mum made the one on the right. Very chocolatey and delicious! 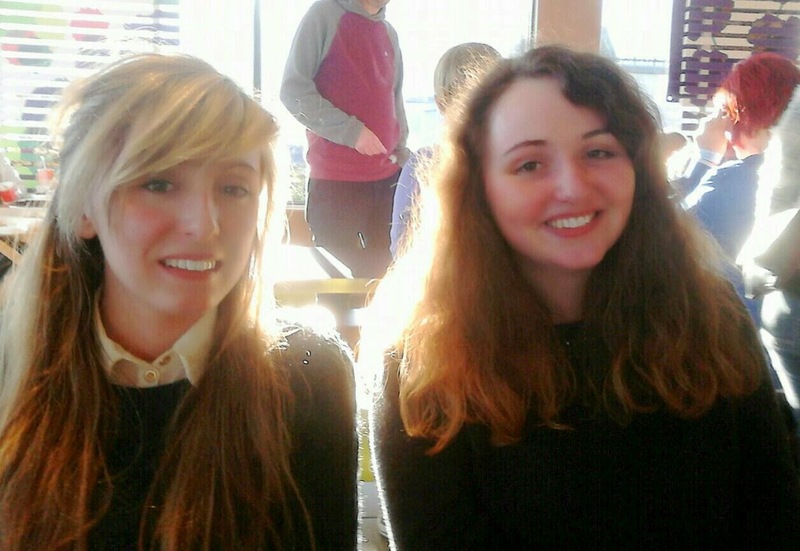 I also went to Spring Harvest a couple of months ago with a few friends and it was a really great day - above is me and Abi in Maccys which is Spring Harvest tradition. So, Spring Harvest is a big Christian gathering and you go to seminars and worship sessions and you eat lots of sweets. Also it's at Butlins so it's always fun to go on rides and stand by the side whilst everyone else goes on the scary rides. Also, rather excitingly, my poem about Canterbury was shortlisted in a poetry competition and I have been invited to go and read it at Canterbury. 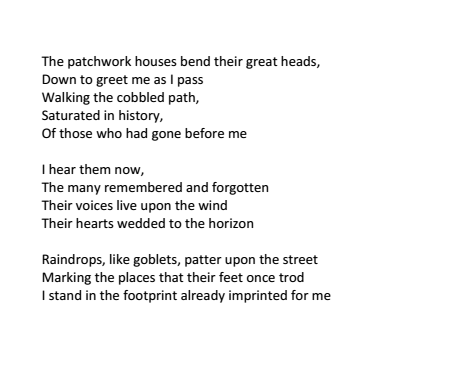 Whether I will be able to get there though is still undecided but I thought that I would share my poem with you. On the theme of success, I also won a blogger competition held by Distinctive Chesterfields to write a review of The Great Gatsby. You can see the review on my book blog, Reading By Candlelight, where I post book related things and lots of poems. I won £100 of Amazon vouchers (which I got lots of books with - you can see the haul here), slippers, a book mark and, last but not least, a beautiful armchair which I adore! I hope you enjoyed this post and I hope to do more like this in the future.